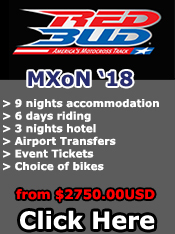 Race SoCal International, Inc is the one stop shop for all of your motocross needs while staying in Southern California. 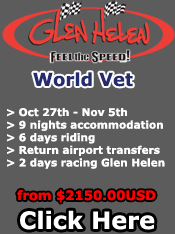 We provide accommodation, bike hire, all inclusive ride trips and full race support for anyone wishing to visit California and ride/train/race while they are here. 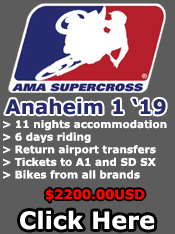 Southern California is truely the mecca of the motocross world, with 10 tracks within an hour drive, many of the industry leading companies, 4 AMA Supercross events and an AMA National. California also has great year round riding weather, access to mountains in the winter & beaches in the summer – it is no wonder so many of the top AMA professionals call California home. We are the only company in our industry offering such a wide variety of products. Before you contact anyone else make sure you get in touch with our dedicated sales staff.